The world’s most popular children's entertainment group The Wiggles are delighted to unveil their brand new musical feature, THE EMMA & LACHY SHOW! In the entertainment world there's been Sonny & Cher, Fred & Ginger, Beyoncè & Jay-Z and now for the first time ever, pre-schoolers have their own dynamic duo - Emma and Lachy! 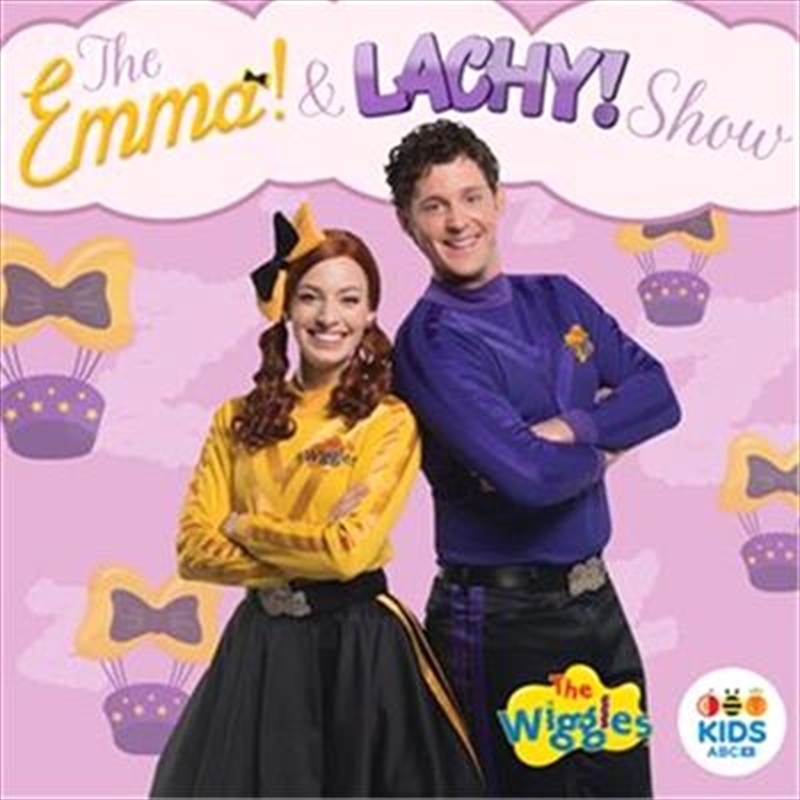 Following on from the phenomenal popularity of The Wiggles Nursery Rhymes 2 (which reached #3 on the ARIA album chart – the band’s highest chart position to date), THE EMMA & LACHY SHOW is an exciting adventure for the yellow and purple skivvy-wearing Wiggles. Join Emma and Lachy as they dress up, sing and dance with their friends, and enjoy a variety of fun activities including; an Irish Jig with Lachy as he meets Phil the Fluter and attends a traditional Irish dancing ball; a dance ballet with Emma and the fairies as they learn some new moves to teach their dollies; a gallop along with Ponso the Pony as he trots around to the beautiful sounds of Lachy’s grand piano, and listen to the sound of Emma’s music box that is filled with exciting trinkets that spark dances from far and wide! 8. Madame, Will You Walk? 14. Are You Ready To Go Explore?